The 2019 season features something for everyone. From the classic family musical Anne of Green Gables to the profoundly moving The Boy in the Moon, there is a show for everyone on your shopping list. Treat your family, friends, or co-workers to a summer at Canada’s Dockside Theatre! PATRON MEMBERSHIP: Become a member of the TIP family and keep the arts thriving in the 1000 Islands. Patron Members receive reserved parking, preferred seating, a charitable tax receipt, and gain access to new and exciting ‘page to stage’ events and front of the line access. Starting at $390. 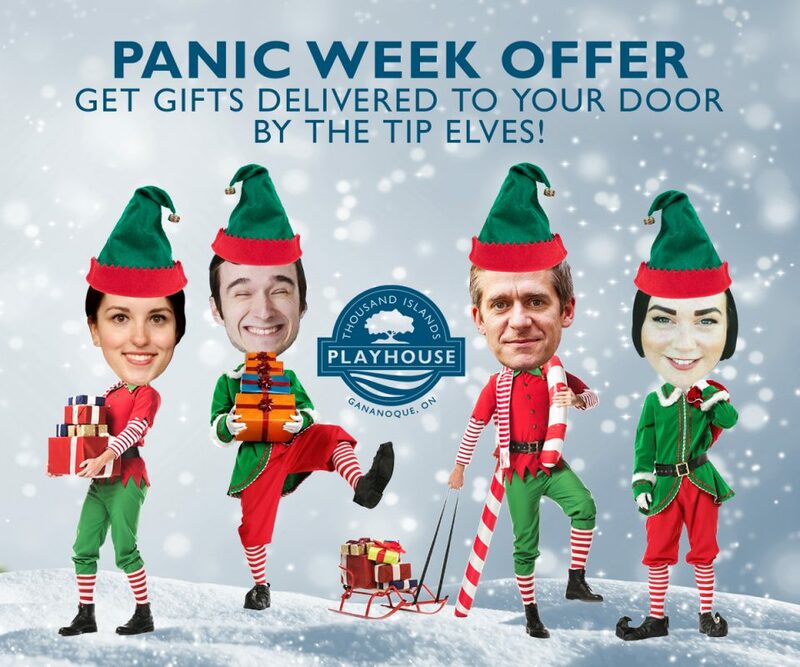 PANIC WEEK OFFER: Christmas is fast approaching and you’re still scrambling for gifts. We’re going to bail you out with EXTENDED box office hours and FREE DELIVERY. The box office is open December 17 – 23 from 11am – 5pm. Gifts purchased in that period can be hand-delivered to addresses in *Kingston and *Brockville by the TIP Elves! The elves are not unionized, so delivery is guaranteed by December 24. *Addresses must start with the following postal codes: K7K, K7L, K7M, K7N, K7P, K6V.